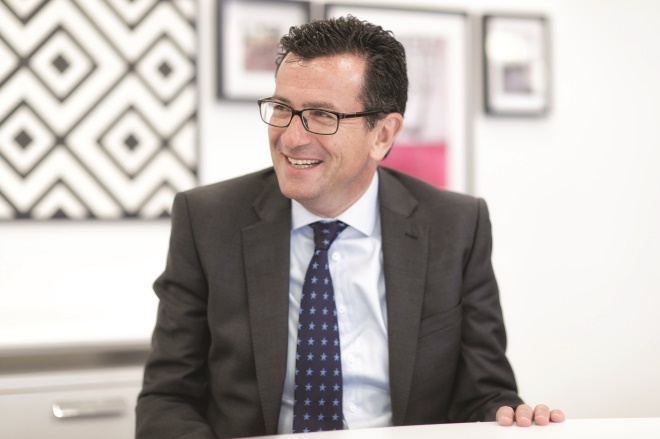 Carpetright boss Wilf Walsh has slammed the Government’s decision to abolish the uniform business rate and devolve powers to local authorities. Chancellor George Osborne unveiled the controversial policy at the Tory party conference back in October in a move designed to allow councils to boost business and economic activity in their areas. Local authorities will be able to cut the tax “as much as they like”, but directly elected Mayors will also be able to add a “premium” to business rates to help fund infrastructure. Those plans were confirmed during Osborne’s Autumn Statement, when he also revealed that the results of a long-awaited review of business rates would not be unveiled until the March Budget. In the wake of the delay, property consultant Colliers International warned that retailers should brace themselves for a drastic shake-up to the amount they shell out in business rates. Speaking after Carpetright unveiled a 34.3% hike in underlying pre-tax profit to £9m for the six months to October 31, Walsh reaffirmed his confidence in the retailer’s strategy, but admitted he was concerned about the impact of business rates on the retailer’s cost base. He told Retail Week: “We are very clear about our plan, we are very focused on what we are doing and we’re not getting distracted. “If I was worried about anything it would be macros outside of our control, and that’s really around consumer confidence – which I think is slightly fragile – and business rates, which remain a problem. “I’m beginning to think the Chancellor doesn’t like shopkeepers. In a relatively benign tax economy and landscape, it sticks out like a sore thumb. Carpetright’s half-year like-for-like sales rose 3.7%, driving its market share in the UK to 25.7% - up from 22.7% five years ago. That has been boosted by a store modernisation programme and the roll-out of concessions in Homebase shops and department store retailers across the UK. And Walsh laid down the gauntlet to his rivals who may seek to claw back market share by setting up shop in the vicinity of existing Carpetright stores. “Where we go head to head with a competitor on the same site, we grow like-for-like sales faster than the rest of the chain,” he said. “We are quite happy to go head to head with the competition and slug it out based on our website, our marketing package, our range, our service, our reputation for value and most importantly our people. Chancellor George Osborne has revealed plans to abolish the uniform business rate and hand local authorities the power to set rates. Business rates reform – 'devolution revolution' or con-trick? At first glance, the devolution of business rates looks like good news, but is it smoke and mirrors from George Osborne? The devolution of the business rates system to local authorities was one of the biggest surprises of the Conservative conference this week.